I have decided to farm. I am not waiting for retirement. I am not waiting to buy farm land some time in the distant future. I am starting now. I have dug a big hole at the end of the garden. When I say I, I mean Freddy. 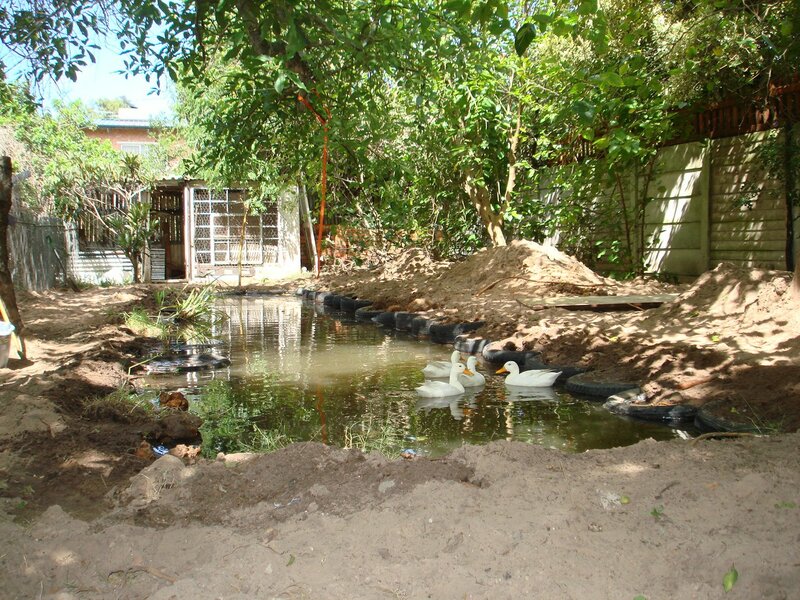 But the hole is done and Mandisa’s ducks are now swimming in the pond. I would still like to plant the edges….But what I would really like to do is put Tilapia in the dam. I have been reading about Tilapia and it sounds like a really exciting idea.